I almost bought Aragami for the PC several times, but never pulled the trigger. It certainly looked interesting; a pure stealth game where you jump through shadows and assassinate bad guys. The art style and the premise intrigued me, but for one reason or another I put off buying it. But games have a funny way of being more exciting on the Nintendo Switch. As much as I enjoy PC gaming, ever since getting Nintendo's hybrid console I find I use it much more. Handhelds are great for my life; they allow me to sneak in some play time without as much commitment as firing something up on my computer. I can catch a few minutes while the kids get ready for bed, or as I wait for food to finish cooking. So when Aragami came out on the Switch, I decided the time was right to check it out. Story is the area I expected the least out of this game, but was surprised the most by. As the title suggests, you play as an Aragami; a vengeful spirit summoned to rescue a girl named Yamiko, and cut down anyone who stands in your way. Unfortunately, Yamiko is held captive by the Kaiho Empire, who wield weapons imbued with light magic. As a being of darkness, an Aragami dies at the first touch of sunlight—or when struck by a Light Adept's weapons. Direct conflict won't end well, so in order to succeed you have to infiltrate the empire undetected... or quickly dispatch of anyone who sees you. What could be a one-dimensional revenge plot ends up with more depth than I anticipated. Each of the talismans needed to free Yamiko reveal more about the girl's past, and your connection to her. The Aragami himself isn't a blank slate, either; he questions his origins and what fate may befall him when his mission is complete. From beginning to end, the story kept my interest, and I eagerly watched as each new development came to light. The ending was satisfying, as was each step getting there. For me, gameplay always comes first, and here Aragami shines as bright as those light weapons. The core mechanics are simple; sneak around enemies, or assassinate them. You also get a suite of powers that build upon that. Right out of the gates you get the iconic Shadow Leap, which allows you to teleport into a nearby shadow. Once I got the hang of it, this technique made moving about really fun; I was bouncing from one shadow to the next, even popping up behind an enemy who nearly detected me. By finding scrolls hidden throughout each level, you earn points to unlock more techniques. These range from letting you attack from a distance to granting temporary invisibility. Techniques are powerful, and the itch to get more encouraged me to scour every inch of the map. I was a little disappointed by the lack of gyro-assistance when using Shadow Leap. Something along the lines of aiming your bow in Breath of the Wild would have made it much easier, and felt like a natural fit for the controls. The joystick alone did the job, but this is a feature I'd love to see added. The tutorial was brief and effective. It told me what I needed to do, then did something refreshing; it allowed me to fail. I was thrown in front of an enemy, and quickly realized my lackluster attempt at stealth wouldn't cut it. By letting me mess up, it taught without words. That's something I wish more games did, and Aragami nailed it. I was given just enough information that I could always see what I did wrong, and had an idea what to try next. Which is important. I have no problem with difficulty in games, so long as it's fair. If a game is tough because the controls are confusing, the objectives are unclear, or you need mastery of skills you've barely been taught, I walk away frustrated. Aragami gets hard, but when I died I never blamed the game—I could see my mistake, and came back with a new strategy next time. At their core, stealth games are puzzles. Since direct conflict inevitable ends badly, you have to think critically of each new area to find a way around the enemies. The problem-solving part of my brain was fully engaged, as each area brought a new, carefully-placed set of challenges to think my way through. But unlike many puzzle games, there is no single right solution. Sometimes I felt like a master assassin moving effortlessly through the night, and other times I was gracelessly dashing to safety as an army of Light Adepts chased me down. Once again, I appreciated how Aragami let me fail; even if I made a mistake, I could sometimes blunder my way back to safety and carry on. Of course, I was scored at the end of each chapter, so such mistakes showed up on my report card, but they didn't stop me from progressing. I consistently had fun with Aragami—until near the end. Around Chapter 12 I got genuinely frustrated. Like I said, the game was moderately difficult throughout, but here it became a long gauntlet of insta-kill attacks and little wiggle room for mistakes. I don't mind dying and trying again a few times, but after going through the same stretch over a dozen times I needed a break.I was able to tackle it after putting the game down for awhile, but when I did I felt more relieved than accomplished. Overall, I thoroughly enjoyed the gameplay, and found it struck the right balance of difficult and fair. Aragami has a wonderful art style. The cel-shaded graphics blend perfectly with the ancient Asian aesthetic. Flashbacks were handled as animations, which complimented the look of the game further. But the graphics themselves... oh man. I'm not sure how much of this is the Switch port versus the PC version, but any real examination leaves much to be desired. The character models looks fine. The enemies are a little blocky at times, but it works with the aesthetic. It's the environment that suffers; trees with paper-thin rows of leaves and perfectly-triangular cliffs. They could have been pulled straight out of a Nintendo 64 game—and I wish I was exaggerating. When it comes to graphics, I care more about art style than quality, but Aragami really drops the ball here. The characters hold up fine with the art direction, but most of the background objects don't hold up the same. It felt disjointed. Even with that, the framerate struggled at times. Mostly it was fine, but the game would stutter when too much happened on-screen or you entered a rainy area. Handheld mode masked many of these problems, and overall the game fit nicely on the small screen. 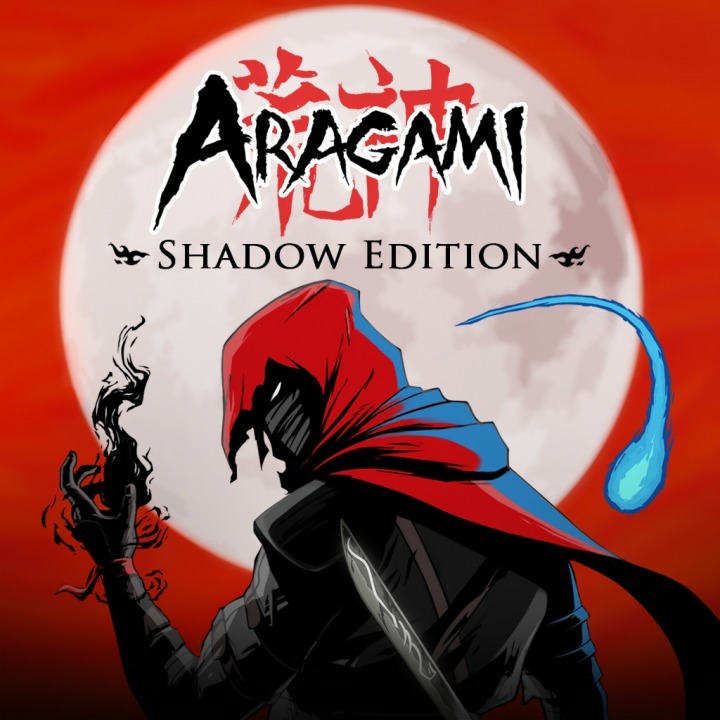 Honestly, Aragami felt more like a 3DS game than a Switch title. It boggles my mind how a slow-paced and stylized game like Aragami can struggle here, while much faster and prettier games such as Warframe can outperformed it. I would have thought the art style would scale down well, but apparently not. Still, as long as I focused my attention on the foreground, the graphics didn't bother me much. Aragami is a fantastic stealth-based game that provides a fair challenge and satisfying moveset. You might not buy it for the story, but you may find the plot intriguing you more than expected. If you don't mind jarring graphics, Aragami is a particularly nice fit in handheld mode, letting you slowly puzzle through each chapter at your own pace. The Switch port could use a few quality of life fixes such as gyro support, but if this game looks fun to you it's unlikely to disappoint.